Troubled, Brilliant and Intensely Private: A Look Back at American Icon Johnny Carson with "Bombastic Bushkin"
The late night show is still a staple of pop culture. 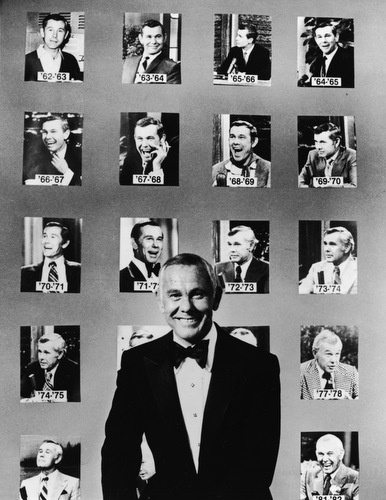 Leno, Letterman, Conan, Fallon all hold their own interviewing celebrities and delivering monologues -- but there's no single late night show that is appointment viewing for all people, no host as essential as Johnny Carson, the thirty-year Tonight Show host and television icon. He was publicly known by many, Johnny Carson didn't have a lot of close personal friends. Though he was fun and friendly on-screen -- cavorting with celebrities like Jimmy Stewart, Elizabeth Taylor and Frank Sinatra -- off-screen, he was very private and hid his emotions well. It says a lot that Carson once described Henry Bushkin, his lawyer and business associate, as his "best friend". Bushkin came on to Carson's team as a fixer, someone to take care of his problems both professional and personal. This week, Mike Pesca fills in for Jesse and talks to Bushkin, who served as Carson’s lawyer and closest confidante for nearly two decades. Dubbed ‘The Bombastic Bushkin,’ his relationship with Carson was a mix of professional and personal and he witnessed some of the icon’s darkest moments. Their friendship and business relationship eventually soured, but not before Bushkin collected a wide variety of experiences. This week, Bushkin dives into those privileged moments, from the good to the bad. Bushkin’s new book, which recounts his time with Carson, is called, simply, Johnny Carson. Editorial Director Keith Phipps and Editor Scott Tobias from film site The Dissolve stop by to recommend the best films this winter has to offer. 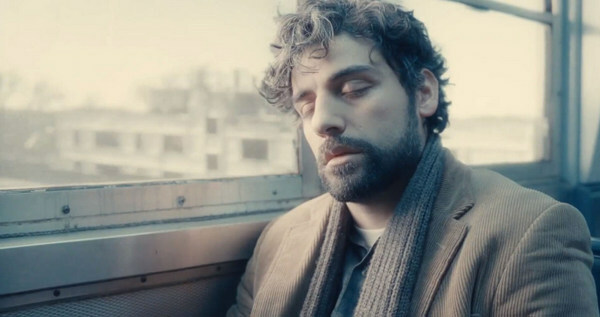 They recommend you check out the new movie from the Coen brothers, Inside Llewyn Davis and a film that examines both sides of drug cartel culture, Narco Cultura. You can find both films in select theaters nationwide this week. Sometimes we like to take a flying leap into the canon of popular music and find albums that deserve a closer look. 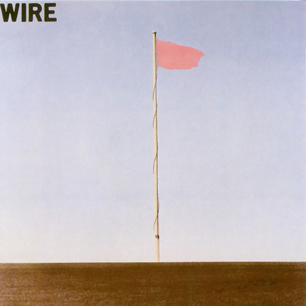 This week, Jim DeRogatis of WBEZ's Sound Opinions guides us through the art-punk band Wire’s debut album, Pink Flag. He'll tell us why you don't necessarily have to have mega-musical talent to make a great song -- just some brilliant ideas. You can hear Jim DeRogatis weekly on his nationally-distributed public radio show, Sound Opinions, or find his writing at WBEZ.org. In the ‘90s and early 2000s, Lisa Kudrow was part of an elite, six-member group. America tuned in to NBC every week as this tight-knit collective went through the ordinary struggles of twenty and thirty-somethings living in New York City. The show was called Friends and, in its decade-long run, it was one of the most successful sitcoms of all time. Kudrow won an Emmy for her role as Phoebe Buffay, the ditzy member of the ensemble who is sometimes optimistic to a fault. Whether she’s singing about her odorous feline or recounting cringe-inducing tales from her colorful past, Phoebe retained a sense of playfulness that brightened even the darkest aspects of her character. Since Friends, she's played some characters with darker sides -- people defined by their narcissistic tendencies. On Web Therapy, she plays Fiona Wallice, a therapist who limits her patients to three minutes a session, since the rest is usually boring filler. The series shows Fiona's professional and personal life through sessions with patients that usually have their fair share of quirks. Jesse Thorn spoke with Lisa Kudrow in 2012. Web Therapy is now in its fourth season online. 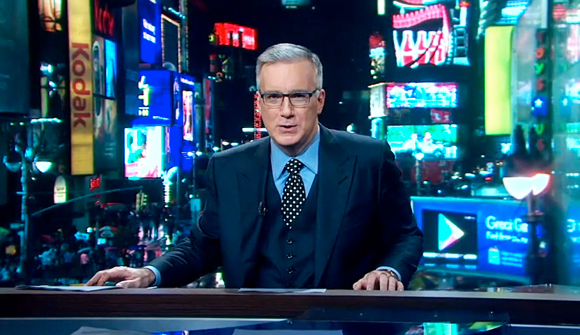 This week, Mike Pesca cheers sports journalist turned political pundit Keith Olbermann's return to the world of sports, with his ESPN2 show, Olbermann.